PRODUCT DESCRIPTION: Blue backed paper traps that have a light glue on both sides. This color and configuration has been found to attract aphids, fungus gnats, scale insects and spider mites. 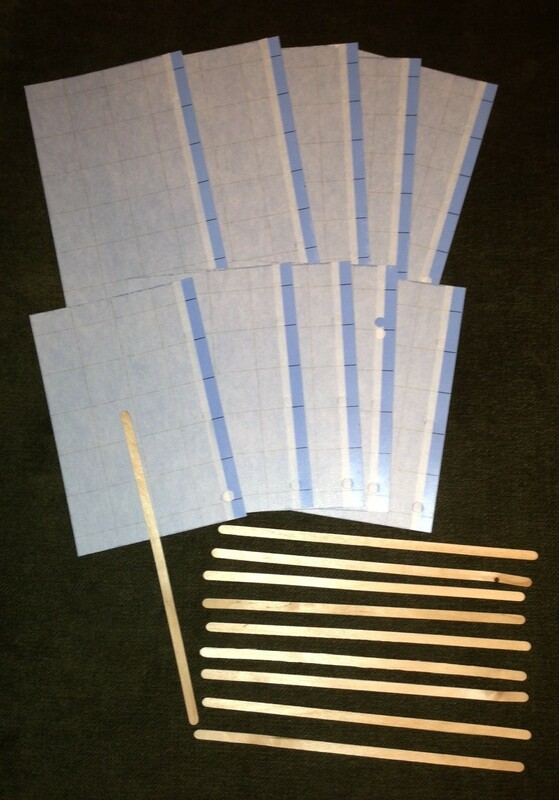 As shown in the image, each package comes with 10 six inch long stakes (slightly longer and thinner compared to ice cream popsicle sticks) and 10 sticky pads. Simply stick one stake on one side of a single glue pad and the trap is ready to be deployed. WHERE TO USE IT: Great for use inside potted plants, window plants, deck planters, flower beds, etc. Basically they can be used both inside and outside anywhere insect pests are known to accumulate. RATE OF APPLICATION: One trap per planter or every 3-5 foot when used in the ground. Change out every months when used inside; more frequently when used outside or sooner if they fill up with nuisance pests.